We’d love your help. 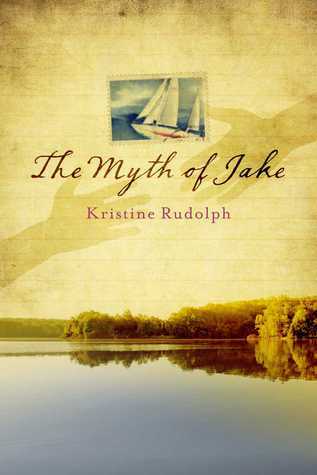 Let us know what’s wrong with this preview of The Myth of Jake by Kristine Rudolph. When Southern golden boy and heir-apparent to a multigenerational legacy Jake Goodloe dies tragically, his best friend Maggie Carlton does what she always does in the face of pain - she writes. But Maggie's effort to define Jake's past has unintended consequences that force Maggie to re-evaluate their friendship as well as her most closely-held values. Jake and Maggie have When Southern golden boy and heir-apparent to a multigenerational legacy Jake Goodloe dies tragically, his best friend Maggie Carlton does what she always does in the face of pain - she writes. But Maggie's effort to define Jake's past has unintended consequences that force Maggie to re-evaluate their friendship as well as her most closely-held values. To ask other readers questions about The Myth of Jake, please sign up. The Myth of Jake explores identity - the constant quest to be true to ourselves while also shaking off the baggage of our upbringing, whether that's our family name, the small Southern town we grew up in, or the events in our life that shape our experiences and relationships. The heroine of the story, Maggie, although confident in her true self, still struggles with the pull of her small Southern town, despite her best attempts to create a life for herself outside of it. She also carries with he The Myth of Jake explores identity - the constant quest to be true to ourselves while also shaking off the baggage of our upbringing, whether that's our family name, the small Southern town we grew up in, or the events in our life that shape our experiences and relationships. The heroine of the story, Maggie, although confident in her true self, still struggles with the pull of her small Southern town, despite her best attempts to create a life for herself outside of it. She also carries with her the imprint of losing her father at a young age. Both color her reaction to the death of her best friend and her attempts at moving past it in both her professional and personal worlds. Her journey is subtle and rocky at the same time as she moves through situations that test her views on authenticity in general and her own self-definition. The story itself is full of unique characters, including the character of Templeton, TN, the setting for much of the story's big events. Rudolph nails the complexity of people and the interplay of their relationships in a small Southern town. Where some Southern characters can be stereotypical, Maggie and her friends and family are nuanced, confused and ultimately sincere. Very enjoyable. Ms. Rudolph reveals her characters vividly and gradually adds information about them. I am so proud to say I was her eighth grade English teacher! My sister, Martha Dixon Brice, shared this book with me. Kristine was her student in 8th grade, and a joy to teach. The Myth of Jake is her first published book, but surely not the last for this very talented young woman. The setting is a small Tennessee town that I could easily believe to be the town where I was raised. The author opens with a scene that intrigues and easily draws the reader into the lives of the characters. As the story unfolds, the unexpected plot twists build suspense, and su My sister, Martha Dixon Brice, shared this book with me. Kristine was her student in 8th grade, and a joy to teach. The Myth of Jake is her first published book, but surely not the last for this very talented young woman. The setting is a small Tennessee town that I could easily believe to be the town where I was raised. The author opens with a scene that intrigues and easily draws the reader into the lives of the characters. As the story unfolds, the unexpected plot twists build suspense, and surprise the reader. The central theme is honesty and authenticity. The young author captures the pathos of the families who populate the story. I like this book, the exploration of the characters internal struggles to be true to themselves versus what the people around them thought they should be was very good. The plot and the ending were not as well thought out and more difficult to believe.